The EZ-ZONE®RM controller family simplifies thermal system management. 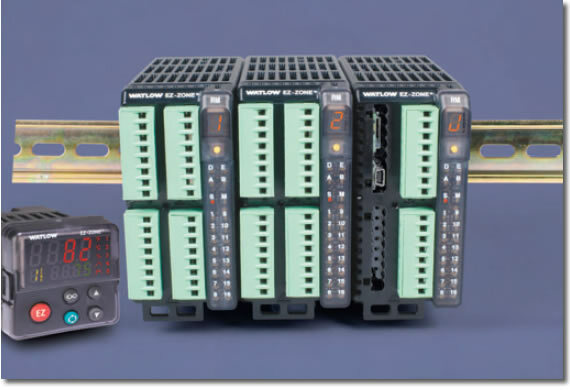 The EZ-ZONE RM controller family is comprised of six module types: an integrated on-off or PI control, monitoring and over/under temperature limit module, a high-density on-off or PID control module, a high-density limit only module, an input/output (I/O) expansion module, a high-density monitor/scanner module and a data logging and field communications access module. 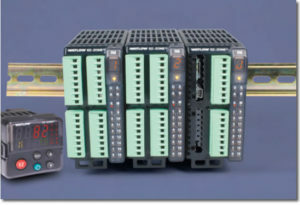 A system is configured by connecting any combination of module types to address specific application needs. The EZ-ZONE RM is extremely flexible and scalable allowing mixing and matching of I/O to configure 1 to 152 control loops and up to 256 monitor points.